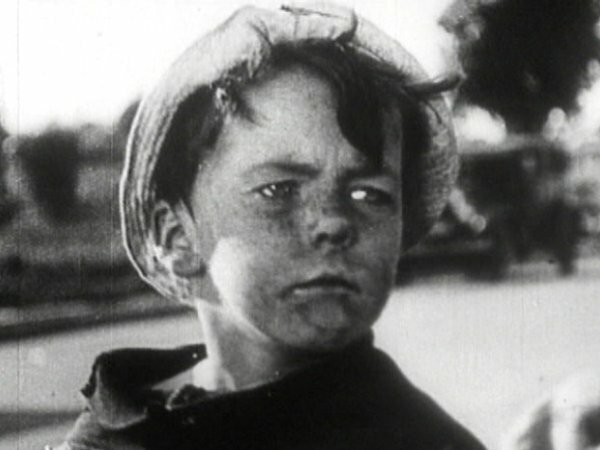 Child actor who made a handful of appearances in the Our Gang comedies of the late 1920s. His last screen credit was 1928. It has not been established with any degree of confirmation that Scooter Lowry is still living or if he has passed away (as of May 2014). Real name: Elmer C. Lowry Films listed on this page: complete Hal Roach filmography. I've done some work on SCOOTER but , as of now, I can't conclude whether he is alive or dead. For me, this is an exercise in genealogy just as was DAVID LELAND. His name is ELMER C. LOWRY born in New York City in Nov. or Dec. 1919 (1920 Census lists him as 1/12th years old as of Jan.1, 1920). His Dad, WILLARD S. is from Tennessee and his Mom, ANNA L. is from Maryland and they are both 30 yrs, old. His sister, LILLA M. is almost 4 years old. The Dad works as a bank clerk. For some unknown reason, others had said that SCOOTER's dad died when SCOOTER was very young. That may have been the family's cover story and I'll tell you why later. August. 1926, SCOOTER is in Hollywood. Not a precise date, but the Aug.1926 issue of Photoplay Mag (p.115) says that he is the first member of the Gang from NY and reported for work "a few days ago". According to theluckycorner.com SCOOTER's first Our Gang short was "Thundering Fleas"
with OLIVER HARDY and filming started Mar. 8, 1926 and released July 4, 1926 (which may account for the Photoplay discrepancy due to the time required to produce the Aug. issue). SCOOTER's final Our Gang short was "Olympic Games" which finished filming May 6, 1927. 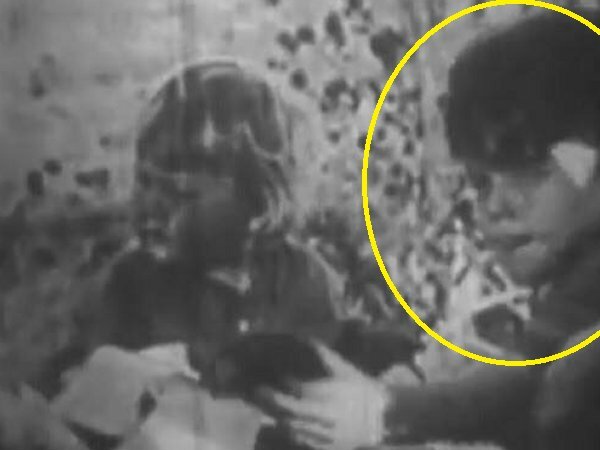 The Our Gang Wikia Wiki says that JEAN DARLING (still living) recalls that SCOOTER was "disruptive which may have lead to his dismissal from the series". The Wiki also says that he went on to star in a "Vaudeville version of Our Gang. Beyond that, no one knows more about him". They cite no references and the 2 researchers mentioned above don't even mention this and I haven't found anything like this yet. 15 April 1928, First National releases a 72 minute comedy "Chinatown Charlie" starring JOHNNY HINES. In the cast are SCOOTER LOWRY and ANNA MAY WONG. I don't know the date that filming started or ended. April 1, 1930 SCOOTER is back in Hempstead, NY in the same house as 1920, living with his maternal grandmother, step -grandfather (who still owns the dwelling), step-great grandfather. mother and sister. The house is worth $6,000 in 1930 and g-father is still working as a cement mason. SCOOTER has worked in the prior week and is employed as an "actor" in the theater. He is aged 10 as of his last birthday and attends school. His mother (age 41) is still divorced and the maternal grandmother has been married for 36 years. It looks like SCOOTER was in Hollywood for 4 years or less. April 1, 1940 SCOOTER (age 20) is "RLMER" LOWRY (obvious handwriting error) and single and living in same house as 1930 with all the family except the sister (age 24) who has probably left the nest. SCOOTER lists his "occupation" as "professional actor in the theatrical industry" who has not worked in the past 1 yr. and 4 mos..The highest grade he completed was 7th grade in elementary school (his mom completed 6th grade). She is the only one in the house who is working with a temporary (government, make work WPA job as a seamstress) for $400 per month? (does not specify wk,. mo., or yr.) There is no other "outside" income in the house. The grandfather does not own this house anymore (same one as 1920 & 1930) but is paying $40 per month rent. My guess is he lost the house in the Great Depression. The mom is listed as "married" (age 51) but I think this is an error because she still has the surname LOWERY and there is no "new" man in the house. I need to do a thorough search of WWII military draft and enlistment records. A cursory search didn't turn up anything. SCOOTER was a prime candidate---age 20---out of work. After Dec.7, 1941, WINNIE and the BRITs were in dire need of help! 1943 Jan 16 edition of Billboard Mag lists an ELMER LOWRY playing guitar in a musical trio called JACK BERCK and the THREE FLATS appearing at BARNET ROSS's cocktail lounge in Chicago. This is a dead-end so far. An unconfirmed rumor at the Luckycorner site says that someone "bumped" into SCOOTER in NY in the 1950's. According to the 1920 census at familysearch.org, Willard S. Lowry was Scooter's father's. Willard's dad also named Elmer. Willard was born circa 1890. Willard Duncan Lowry died in 1941. Middle name doesn't match but the names of both of his parents do, so looks like its him. His death certificate says he died of a drug overdose believed to be a suicide. Also says he was divorced and was already suffering from premature dementia at 53. Very sad. Next of kin's last name was Duncan, so maybe a cousin. If he left the family when Scooter was a really little, maybe his mom told him his father was dead. SCOOTER and his family are unquestionably in the 1920 US Census and 1925 New York Census: WILLARD & ANNA and kids LILLA M. & ELMER C..
By 1925 Census, Mom ANNA is divorced. In 1920 Census, ELMER C. is listed as 1/12th years old. The site vitalsearch.com has scans of the official volumes of the New York City Birth Index. They also give the Birth Certificate numbers but for both SCOOTER & LILLA, they are mostly illegible due to the copying process along the inside near the spines being very dark or black. Attached you will find the "snips" for each birth (Manhattan 1916 and 1919) I haven't seen any of "The LuckyCorner" researchers citing this official reference. an obituary with ELMER mentioned as a brother.Keep the ????? marks next to that 2008 Ashton, WV death for SCOOTER as I have my doubts. There were several "ELMER C. LOWRY's" floating around at this time. That's what accounts for all the variations in birth and death dates. One of those "ELMER C. LOWRY's" cited by others, served in WWII and became an Army psychiatrist and is easily "proved" NOT to be SCOOTER! I think there was another "ELMER C. LOWRY " born in Pennsylvania on 26 Dec.1919 who is also sometimes cited as SCOOTER.